It’s back to school time again. Some students are starting the year off with a new iPad or tablet provided on loan by the school and some are able to bring their own devices for the first time through a BYOD program. 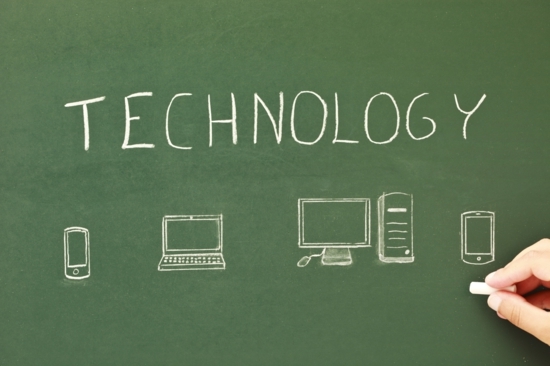 Both way today’s students are digital learners and they are excited about any new technology in the classroom. Most of today’s educators are coming around and realizing the benefits and power of technology in the classroom as a learning tool. All these tech-savvy students want these days is to play games and surf the web with digital gadgets, so many schools have leveraged this love for technology to enhance education by integrating mobile devices as learning tools. 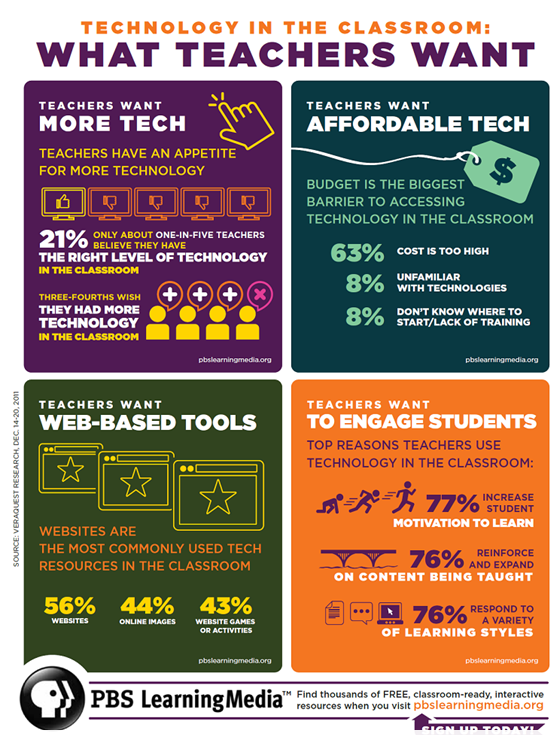 Recent studies by PBS Learning Media have shown what classroom technology teachers really want. Check out some of the results below. So as you can see today’s educators see the value of more technology in the classroom. 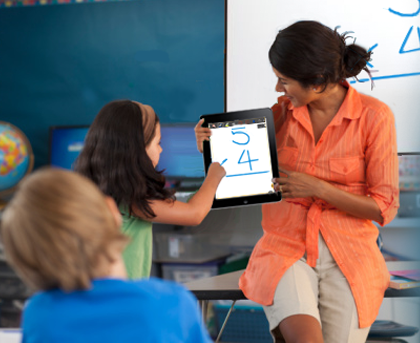 Classroom technology on school wireless networks can help teachers get students more engaged, cater to all types of learning styles, and improve the learning process overall. If your school hasn’t already, you need to get going and implement some sort of BYOD program and let students bring their own mobile devices in or provide them loaner devices. Either way it’s important to keep education relevant and effective, and the only way to do so in today’s society is integrate technology into the classroom. If you are ready to implement a 1:1 initiative or BYOD program the first step is always making sure your school wireless network is equipped to handle all these mobile devices securely and successfully. Thant’s where we can help. At SecurEdge we are experts in designing and deploying the most secure and efficient school wireless networks for. If your school is ready to update your school or campus Wi-Fi network or launch a BYOD program we are here to help. Feel free to contact us here with any questions or for a Free consultation. We also have a free school wireless design guide available for down load. Good luck!